Alex Nero is an American artist living and working in New York City. 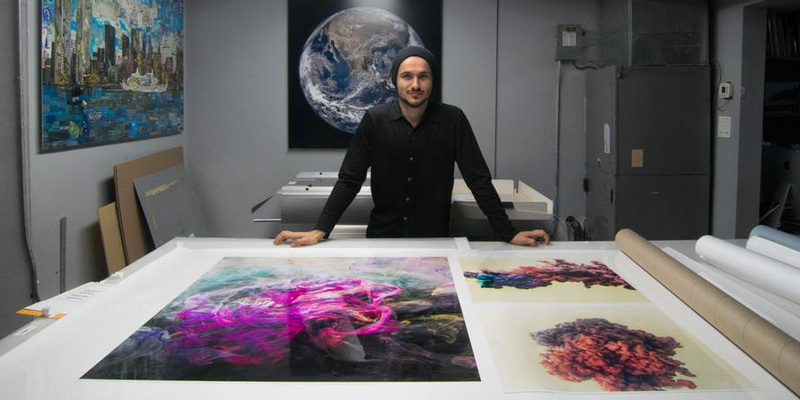 His current body of work utilizes experimental techniques with chemistry and physical dynamics of paint within vessels of water, captured by digital photography and expressed through immersive installations. "My work is all about the process. I'm always trying new things in the studio. These iterations have developed over time, out of deep curiosity and an addiction to the process. The experiments instantly bring me to a state of flow and that state is very addictive. It's probably how I manage to stay focused and consistent."